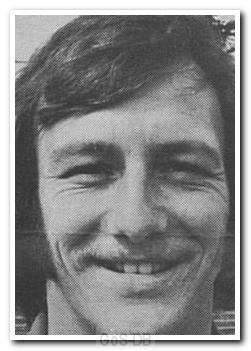 Kellow was a forward born in Falmouth who started his career with Penzance for three seasons in the early 1970s, before moving to Falmouth Town. A remarkable scoring record of 126 goals in 114 games between 1973 and 1976 secured a move to St James' Park, Exeter. A two year spell with City saw Kellow net 40 times in 107 games before being sold to Blackpool for £125,000 in November 1978 – at the time a record outlay by the Tangerines. 23 goals in 57 games across two years in Lancashire followed before he returned to Devon for a second spell with City, this time spending 4 years in red and white netting 61 times in 143 games. Moving to Argyle briefly in November 1983, Kellow scored twice in 10 appearances before moving to Swansea City in early 1984, where he played just once and failed to score. He then moved the short distance to Newport County before returning to St James' Park for his third spell, scoring another 28 times before hanging up his boots in 1988. Tony Kellow was born in the village of Budock Water near Falmouth. A granite memorial to him stands in the centre of the village and a shrine to him is inside the nearby Trelowarren Arms. In season 1981/2 (while playing for Exeter City) he won the Football League's "Golden Boot" being the top scorer in all four divisions.